. إن Statesman Motor Inn حريص على توفير الراحة للنزلاء، فلا يوفر الموظفون جهداً في تقديم أفضل الخدمات وضمان حسن الاستقبال. يقدم هذا الفندق العديد من الخدمات الكفيلة بإرضاء أكثر الضيوف تطلباً. في الفندق غرف نوم يتجاوز عددها 26، كلها مجهزة بعناية وجمال وبعضها مزود بـ تلفزيون بشاشة مسطحة, اتصال لاسلكي بالإنترنت, اتصال لاسلكي بشبكة الإنترنت (مجاني), غرف لغير المدخنين, مكيف هواء. يمكنك الاستمتاع بالأجواء المريحة التي تقدمها مسار جولف - ضمن 3 كم, حمام سباحة خارجي, حديقة طوال النهار. مهما كانت دواعي سفرك فإن Statesman Motor Inn هو خيار ممتاز لإقامتك في كوروا. 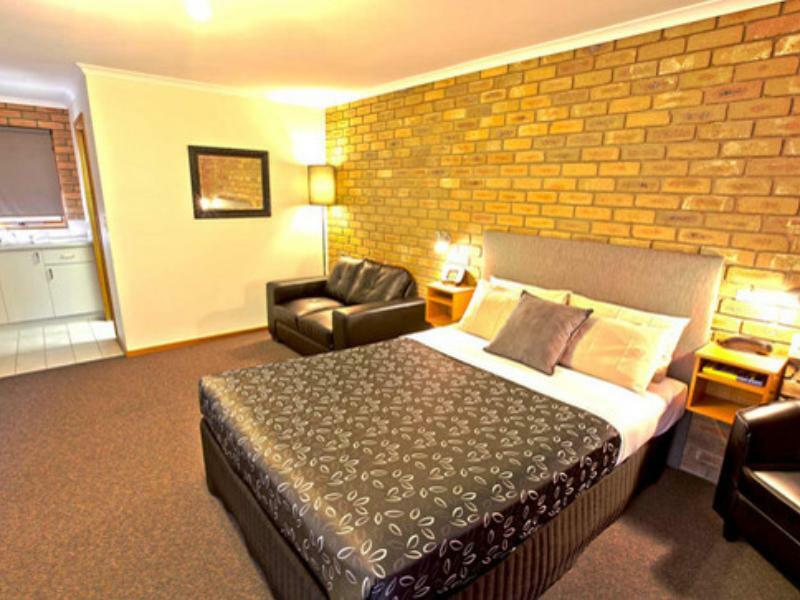 Rooms not as large as described, definitely not a king bed and single bed very small for adult child. Dated and needs a refurbishment. Long life pots of milk is disappointing. Difficult to find utensils and minimal PowerPoints in room. Grounds immaculate and inviting. Thank you for taking the time to write us a review Martin, we are sorry the room was not suitable for what you needed. The long life pods of milk are used because if the milk was bigger there would be a lot of wastage. All utensils are located in the cupboard of the rooms, with power points above the fridge, near the television, near the single bed and also under the side tables of the queen bed for guests convenience. Thank you for noticing how well kept our grounds are as we have spend a lot of time out there improving them. Kind Regards, Scott & Olivia. The staff were so friendly and helpful. Rooms were clean. Thank you for your kind review, we hope to see you again when in the area. Kind regards, Scott & Olivia. Thankyou Alfred for taking the time to give us a review we really appreciate it, see you again when visiting Corowa. Regards, Scott & Olivia. Highly recommend, spacious, and clean room with renovated bathroom. Owners extremely friendly and could not do enough for us. Even dropped us off at local Club. Thankyou Gaylene for your kind review, we are pleased you enjoyed your stay! Regards, Scott & Olivia. Friendly staff and clean amenities. However, there could have been more power points close to the bed with easier access for people who need to plug in cpap machines. As there was only one on each side of the bed tucked in under the bedside table, access was a little difficult. Thankyou Cheryl for your feedback we really appreciate you taking time to write one. Regards, Scott & Olivia. We were made to feel welcome from the get go. The room was clean and the bed soooo comfortable. Really enjoyed our time there. Exactly as described in their website, amazing customer service, great staff. location was great, close to town by vehicle or even a nice five minute walk,... id stay there again for sure.